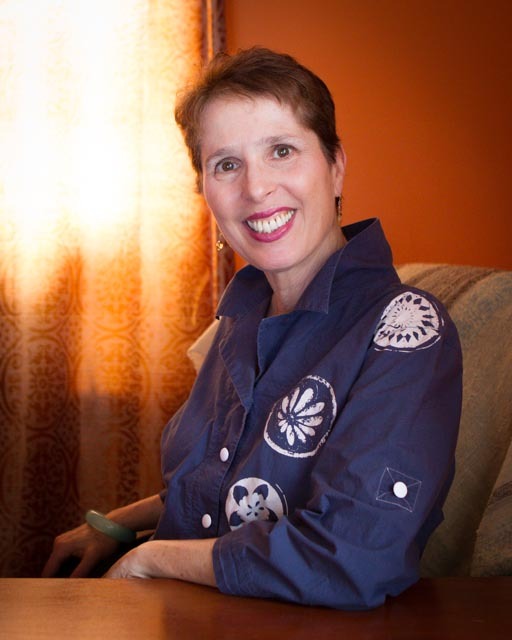 Today it’s my pleasure to introduce you to master teacher, Reba Linker. Reba Linker is a master teacher, bestselling author and life coach, ready to lead you on the path of self-love to a happier and more fulfilling way of life. Reba believes that we each have the answers we seek within us. Her books include Imagine Self-Love, The Little Book of Manifesting Big, and Follow the Yarn. 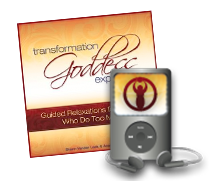 Carve out 30 minutes to listen to our intimate conversation to receive the full energetic connection of our transformational time together. I know you will enjoy Reba’s loving energy! I went from being insecure, depressed and defeated (behind a confident-ish façade) to the deep knowledge and assumption of my own power. What a difference a day makes! Or a few decades, actually! Luckily, despite childhood lessons that my feelings, thoughts, and needs did not matter, I held onto a glimmer of the light that is my essential being, and a distant memory of the pure innocence and beauty that I once felt. My ‘Significant Transformation’ has taken many years of rediscovering what was lost, reclaiming what was mine, and re-learning a whole new way of being that accepts and honors my feelings, thoughts, and needs. I spent 30 years studying with a spiritual master, which I now see as the caterpillar and cocoon stage, absorbing knowledge, and processing information on a deep level; the unfolding picked up extreme velocity only recently, when I wrote my first book, Follow the Yarn. As I wrote, I started to speak my truth – in a knitting book, of all places! It took me that long to have the strength and the tools to face my experience without being crushed by it. I began the work of incorporating all that I knew intellectually into my life as a reality, and in the process, to realize what a gift I had to share with others. I used to train as a professional dancer and taught dance for many years, so I feel blessed to have received a lot of joy from using my body to the fullest. When I stopped dancing it was interesting for me to experience life without so much strenuous exertion, and I was able to ‘coast’ a bit on the strength of my previous training. Plus, I wanted to have a child, and I wanted to dedicate my physical energy towards that goal. Now, as a mom of two young children I see the need for a new chapter ahead, of creating a way of caring for my body that is balanced, neither feast nor famine. This is a work in progress for me – to find living, self-loving balance – as it is for so many of us. Self-love has become an important concept for me personally, and in my teaching as well, and a big part of self-love is self-acceptance. I try to honor my physical needs and desires as much as possible, whether that means taking a long soak in a tub, or buying a fun new necklace to adorn myself with. I no longer think of these things as petty, as I once did, but realize that they are needs that emanate from the soul, and I try to honor them as such. It is such an important part of self-love and self-care that we honor the ‘sacred temples’ of our bodies, both inside and out. My rituals have little to do with scented oils or candles though those are lovely! I have had to un-learn and re-learn my way of being in the world, so my ‘ritual’ is the continued practice of allowance and acceptance. This is the foundation of self-love, and it works in the face of whatever is happening. In particular, I accept my feelings and allow them to flow through me. Growing up, I was an Olympic-level champion suppressor of my emotions, so now I make time to meditate and to ‘listen in’ on what my body, emotions, and spirit tells me. In short, I now love myself enough to make it a practice to be ‘for me.’ As the ancient sage, Hillel, said: “If I am not for me, who will be?” Every child instinctively knows this lesson, yet this is something that I had to re-learn as an adult after being taught that I was meant to be there for everyone but me. I know, first hand, the consequences of lack of self-love and I know the path back from that place, and that is a tremendous gift, for I can share what I know, and lead others out of sadness and doubt, and into the majesty of their own innate power and beauty. This, by the way, is one of the most miraculous transformations possible: to transform a harsh experience into a life-affirming gift. I want anyone who is suffering right now to know that there is so much love and light on the other side of their suffering as well. One other ritual worth mentioning, which is so typically feminine that it doesn’t even feel like a ritual, is that I love to share openly and deeply with my female friends and with the beautiful soul sisters that I connect with through my work and activities online. Like many women, I experience this kind of open, heart-to-heart sharing as deeply healing, nurturing and energizing. I allow myself to be right. Now, for some people, maybe they should question themselves more (! ), but for people like me who have been trained to second-guess themselves and to defer to others, allowing ourselves to be right is terrifically empowering. I honor who I am, I accept my feelings, and I stand up for my desires. This is not always easy, especially when a desire may come into conflict with someone else’s needs or desires. In relationships, I used to always back down and defer to the other person. This only built up resentment and anger in me, which I did not know what to do with. Now, I honor my needs, even when it means a bit of a battle, er, I mean, negotiation! Most often, I see fantastic results, both in terms of satisfaction about the thing itself (whatever it is), and also in terms of achieving a healthy balance in my relationships. This is a powerful self-love practice which may feel excruciatingly uncomfortable at first for people who have been trained to be self-critical, self-deprecating or, worse, self-condemning. There’s an exercise in my book where you pick an activity in which to be ONLY self-approving: for example, approve of your every move around making breakfast: make the omelet and praise it; if you drop the eggs on the floor, admire and appreciate what a spectacular job you did of dropping those eggs! No one could do that just like you! It sounds humorous, yet how profoundly wonderful to open up to loving everything about yourself, even the way you dropped the eggs! It’s a whole new way of being that will melt and soften some of those hard places that have lived for so long reacting to criticism and, yes, condemnation, and when you melt those hard, frozen places, you open yourself up to more joy and flow. And that’s what we are seeking, isn’t it? Ease. Flow. Power and gentleness, combined. I picture myself as a child on the beach, with long hair hanging down my back, gently caressing my skin. The phrase evokes such a feeling of pleasure and beauty, and a magical, natural connection with the divine that is beyond words. What Inspired You to Create 9 Self-Love Keys to Change Your Life? My journey has been about re-learning to love myself, and how to return to the joyous experience that is our true birthright, and that journey has brought me gifts I want to share with others. In Imagine Self-Love, I invite the reader to practice self-love as they walk the path of the journal. More than any specific exercise in the book, the reader’s self-loving approach to the journal as a whole is, by far, the most powerful exercise of all. 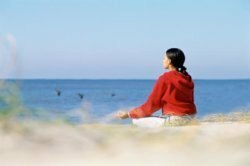 For when we begin to practice self-love in one area, it becomes easier, and eventually natural, to apply the same principles in other areas of our lives. This is how we overcome negative conditioning, which is what so many people struggle with. All my books – whether about manifesting, or self-love, or even knitting – are about giving you the knowledge to live your best life NOW, in this moment. It’s about releasing limiting beliefs that do not serve your happiness, finding the courage to be your authentic self, and learning the skills to help you move past obstacles to keep your life moving in a joyous and abundant flow. 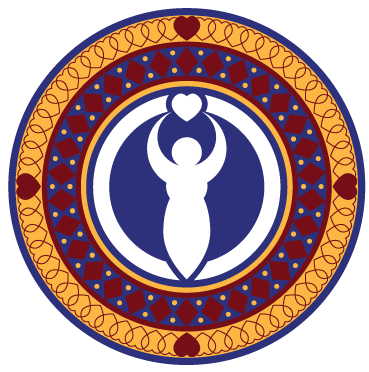 Tell us about the free gifts you have for our sacred circle. I am overflowing with abundance, and would like to offer your readers a triple gift! First, everyone is invited to pick up a free chapter of Imagine Self-Love. This includes 5 journaling exercises and 5 powerful Action Steps that gently encourage you to look within to make sure you are really supporting your own best life. Pick up your free gift HERE. The next gift is a HUGE one. My new course, “9 Self-Love Keys to Change Your Life,” is now available through the Daily OM. Though I cannot offer the course for FREE but it is available on a pay-what-you-wish basis starting at $10 – about $1 per module! It makes me intensely happy that everyone can easily and affordably dip their toes in the self-love waters and see why self-love is the new HOT TOPIC as we come to realize that our relationship with ourselves sets the tone for ALL od the relationships in our lives. I strongly encourage each person reading this to take advantage of this special offer at Daily Om. Third, if you are embarking on a new phase in your career or personal life and would like help designing your next venture to be as successful as it can be, join me for free on-air coaching as part of the “Paint Yourself Into the Picture” TV show. Apply to be a guest HERE. Through my website, www.RebaLinker.com, or please write directly to Reba@RebaLinker.com. You are also welcome to join my supportive Facebook group, Leaders in Self-Love. Additional Articles and features featuring Reba’s great work. 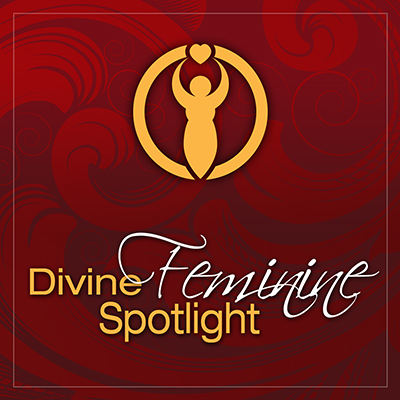 Shann is currently booking Divine Feminine Spotlight Feature interviews for 2016. 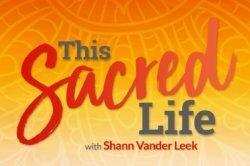 Want to Amplify Your Voice and Share Your Sacred Feminine Wisdom in the Divine Feminine Spotlight? Great interview – really enjoyed this! Great interview, Reba! Thank you for sharing your message. Very interesting and thought provoking. I am learning how critical self love- and the messages that we tell ourselves through our own voice- is to all other aspects of our being. Bam! You got it, Sarah! It is soooo important, just about ALL-important. I wish you happiness on the journey of discovery. If you want to share insights, questions and/or challenges, I invite you to join my FB group, https://www.facebook.com/groups/leadersinselflove/ – where you can connect with others on this path. Powerful message and a wonderful interview, Reba! It brought up a lot of “memories” for me, of my own self-imposed perfectionism. I actually don’t know where this came from, as my mother and father saw me as someone who could do anything I wanted to do. It feels to me like my desire to be the best, or why bother even trying, was something I arrived on the planet with. As I’ve done my own years of transformational work and learned to understand more about myself and how and who I am, it has become easier to accept and acknowledge the way I am, as my way of being. I appreciate that you distinguish self-love from self-esteem. One is outer and one is inner. I see how children love themselves and I guess for each of us, that gets slowly eroded as we interact more with the world. We then begin our journey back to ourselves; back to who we came here to be! I thought in retirement I would do this type of spiritual work, but alas I discovered a passion for beading and created my online business which demands almost all my time. And I realize one of my rituals has been to peak at this journey thru blogs like yours. Many of my FB dear friends are spiritual as are in real life, so there must be something others see. I had the opposite issue as I always spoke my emotions, thoughts- never a problem being fully self-expressed. Perhaps that is what draws certain women to me. I;m easy to get to know. Hi Roslyn, I actually just took a beading class and I loved it! It’s wonderful that you feel fully expressed – for me it is a life work! Thank goodness – it takes all kinds to make the world go round. I do believe that we can all grow in self-love, even if we are already happy, well-balanced, etc. What do you think?